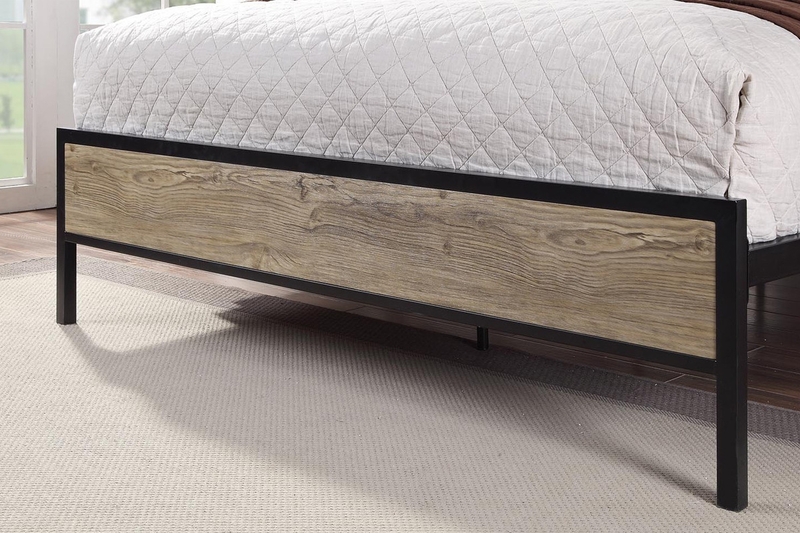 The Salisbury Bed is an interesting fusion of wood and metal, perfect for that modern industrial look. 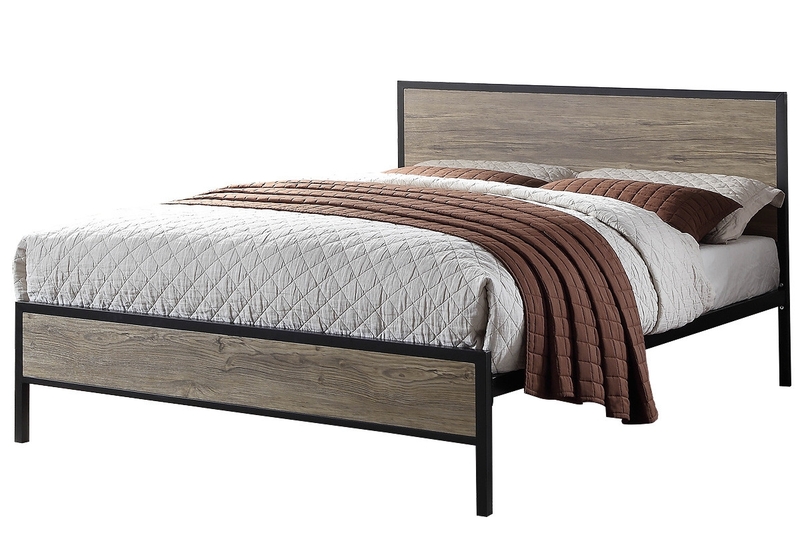 The bed features a sturdy black metal frame, with heavy laminated wooden panels for the head and footboards. Available in double and king sizes, the bed features sprung wooden slats for durability. 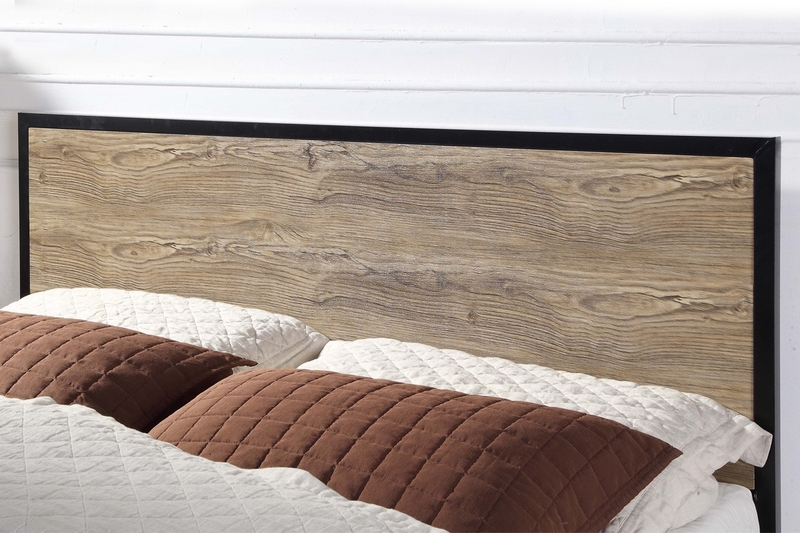 The wood panels are the stand out feature for this bed frame, the lightly coloured and rustic texture makes a nice contrast against the black metal frame. The low footboard style of the Salisbury bed frame has the benefit of making the room feel bigger and more spacious. The solid headboard offers a statement feature as you enter the room, as well as somewhere the rest your head. 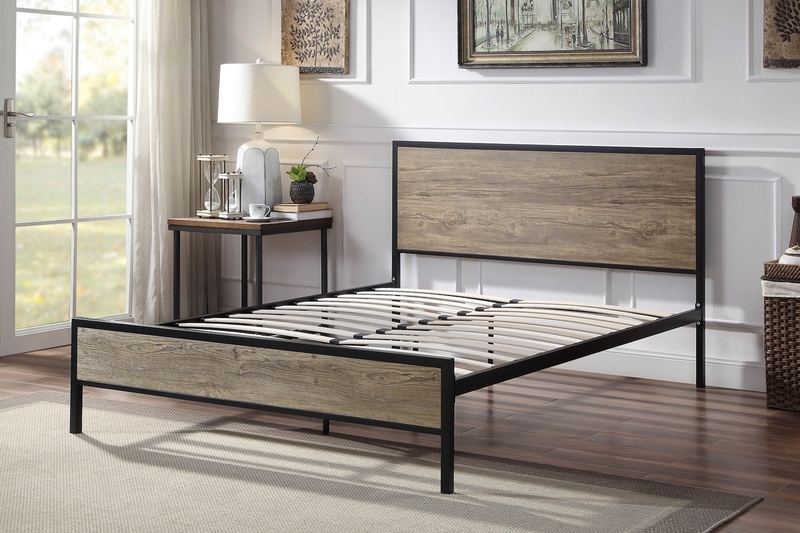 Whether you are going for a modern industrial or rustic farmhouse theme, the Salisbury bed frame will make a unique addition to your bedroom.